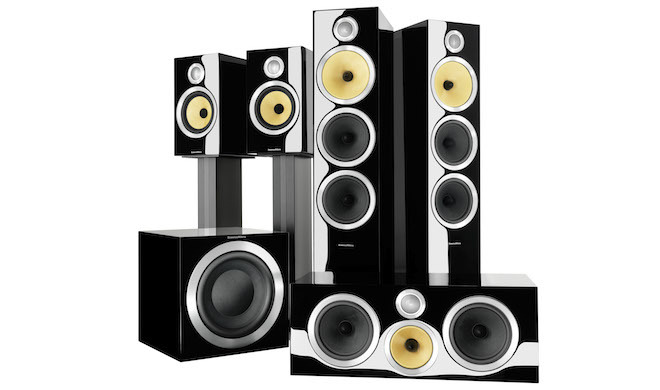 Bowers and Wilkins, or B&W as they are known, have a speaker to cater for every situation. From a simple stand mount design, to the prestige Diamond range, there is something for everyone. Steeped in history, if anyone knows how to make a great sounding loudspeaker it is B&W. Their stunning new CM range of loudspeakers has some star performers that will likely impress for stereo listeners and home cinema enthusiasts alike. We have on demonstration most of B&W’s line up - of particular note being the 800 Diamond Series. This technologically advanced, groundbreaking series is certainly a reference point in the world of high-end audiovisual equipment. The 804 Diamond is a very popular design amongst all members of staff here at Infidelity. Please call or email and arrange a demonstration to see why. The 800 Series Diamond is Bowers & Wilkins’ flagship range. Regarded by many as the world’s finest loudspeaker series, every model features diamond tweeters. In leading recording studios, music that will soon be heard everywhere is heard first through 800 Series speakers. Sound engineers depend on them every day for their unrivalled accuracy. They know that what they hear in the control room is a faithful reproduction of the sound of the original musical performance. So you can trust that no other speaker will bring you closer to music as the artist intended you to hear it. Just ask the people who recorded it.